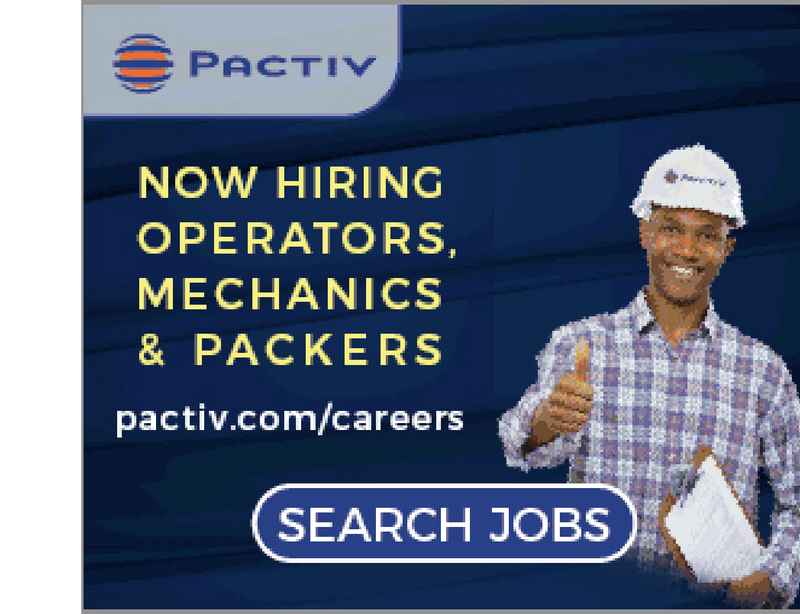 Build your career at Pactiv! - $12.48 - $13.73/hr to start, quick growth potential.. RETENTION BONUSES! - Manage all aspects of product packaging for the production line. - Follow all safety guidelines and wear PPE. - High School Diploma or GED equivalent preferred. - Candidate will be required to complete pre-employment assessments. protected veterans status, or any other characteristics protected by law. physical structures. Handles scheduled and emergency repairs. proficiency in electrical problem solving. welder, drill press, power tools). - Possesses and maintains required hand tools necessary for job. - Correctly identifies proper name of every machine in plant. - Functions with a high degree of autonomy, requiring minimal supervision. - Maintains records and time reports as required. management in verbal or written instructions. - Assists electricians as needed. - May assist in the training of other employees. - Maintains a safe, clean work environment while performing all tasks. - Participation in continuous improvement team and activities. - Performs other related duties and assignments as required. industrial mechanics through an accredited institution. of time throughout the day. equipment; typing/keyboarding/data entry; and computer/calculator.